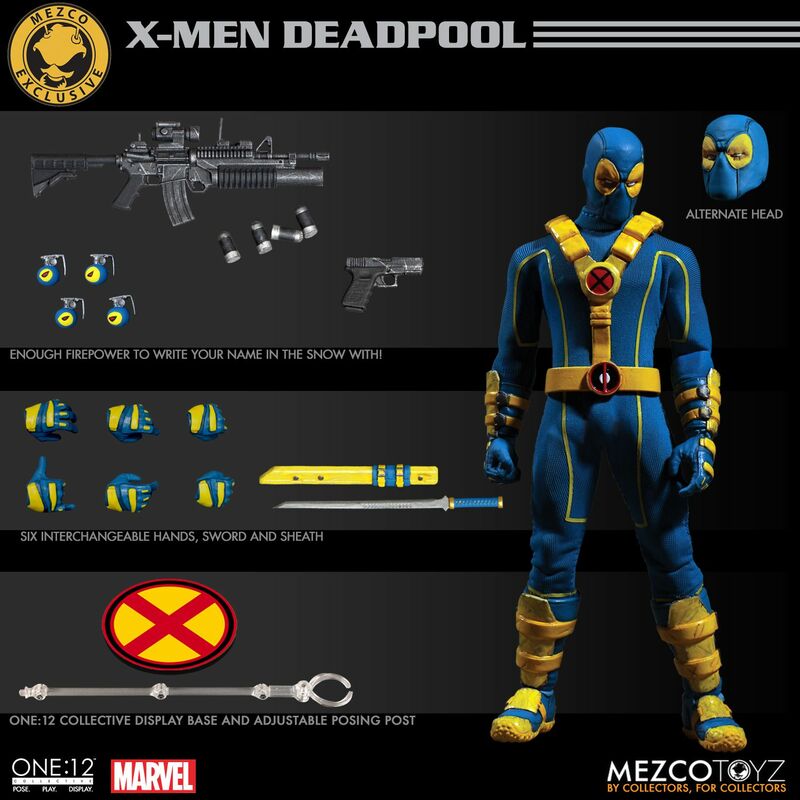 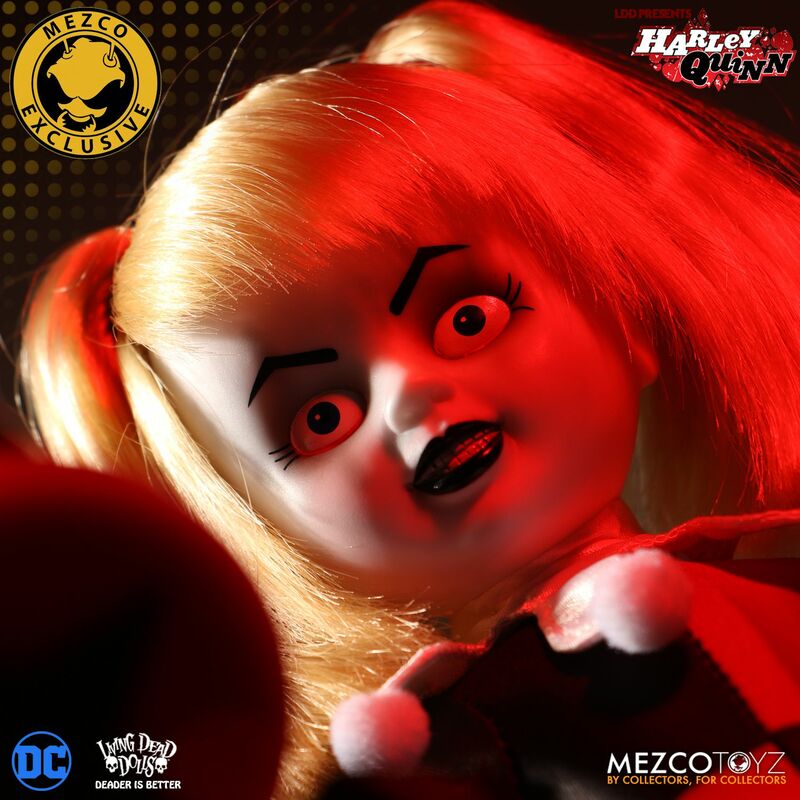 The second Mezco Summer 2017 Exclusive has been revealed. 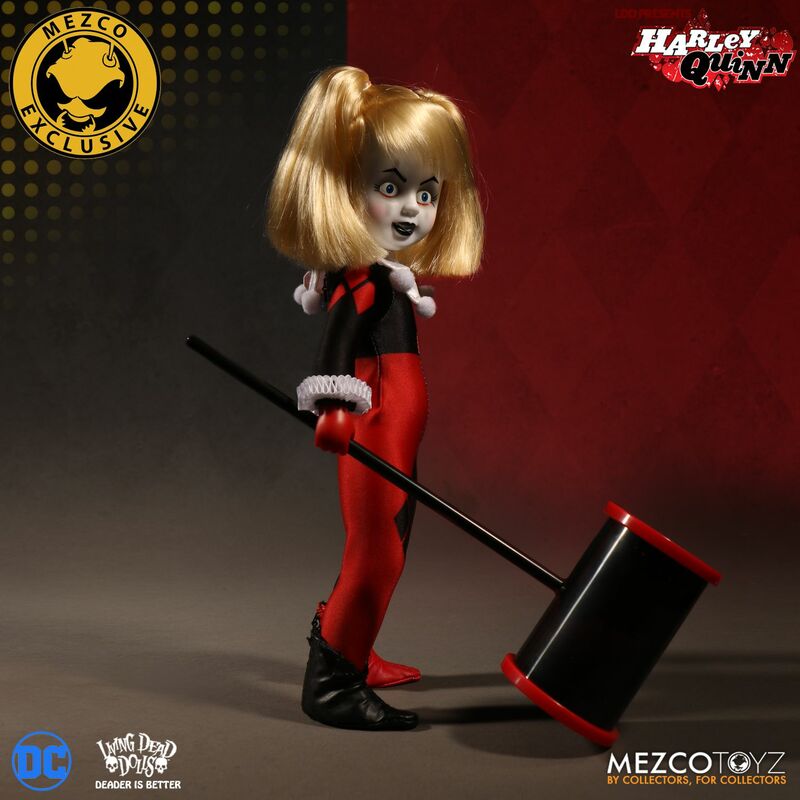 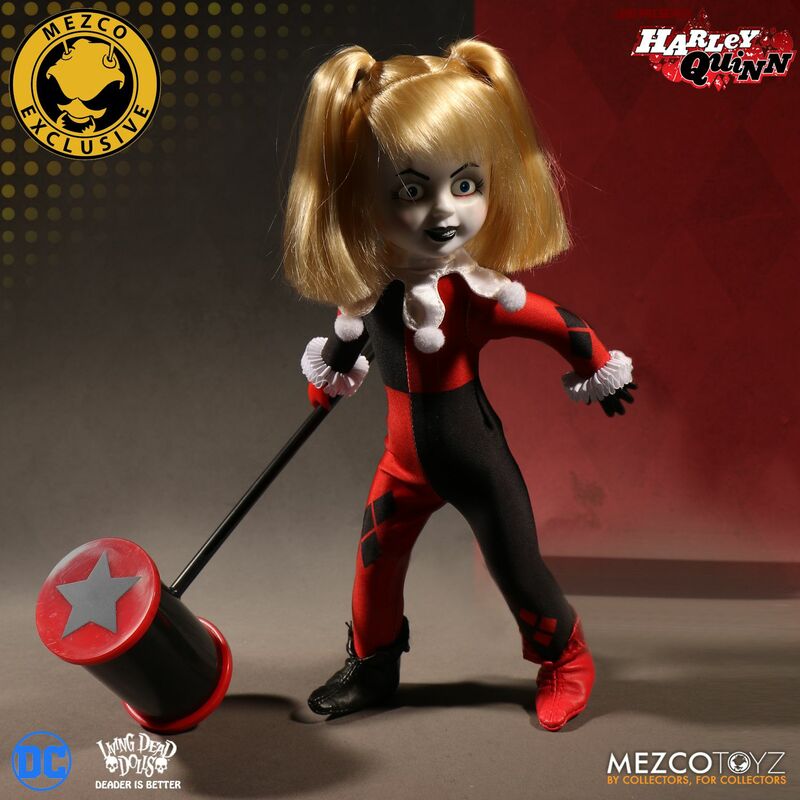 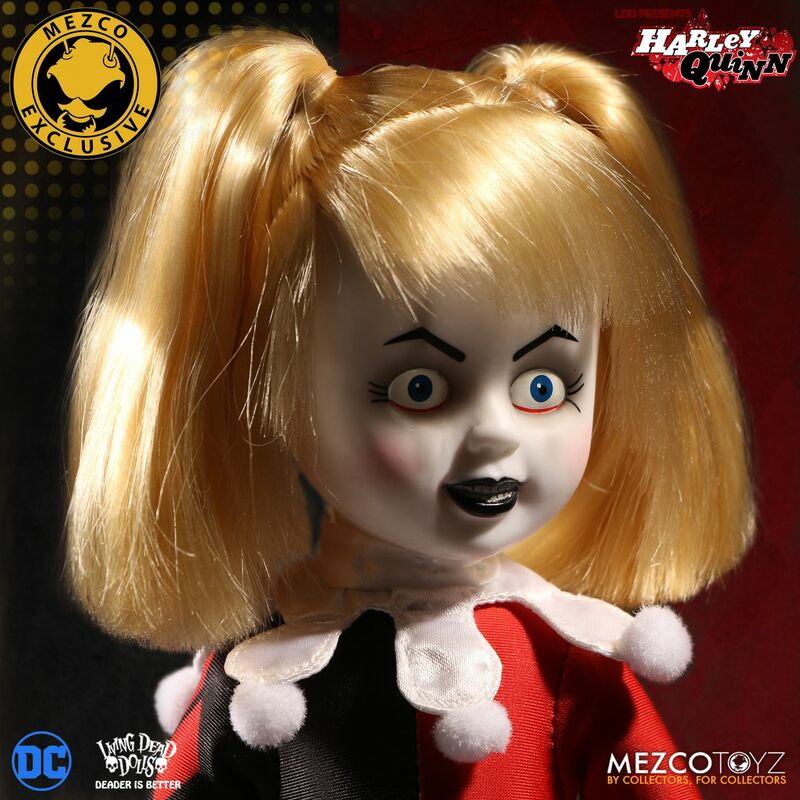 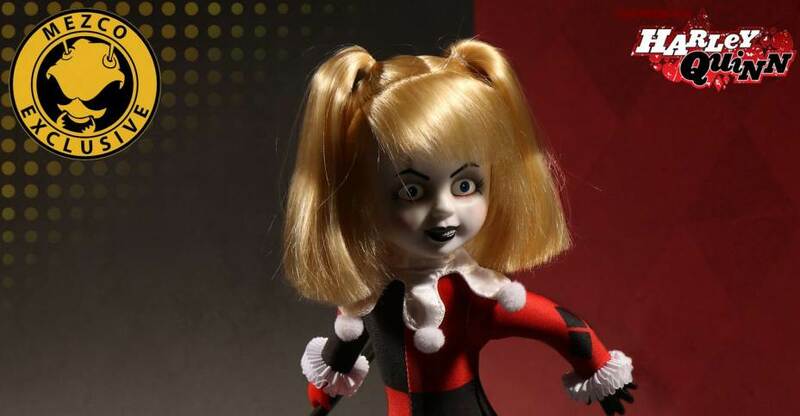 Fans can now pre-order their Living Dead Dolls – DC Comics Harley Quinn. 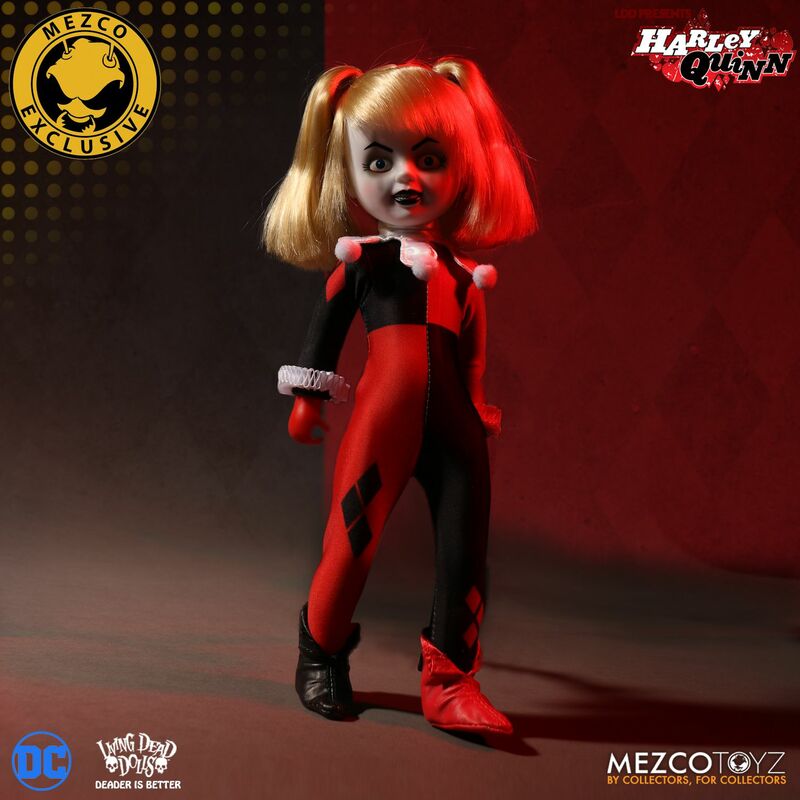 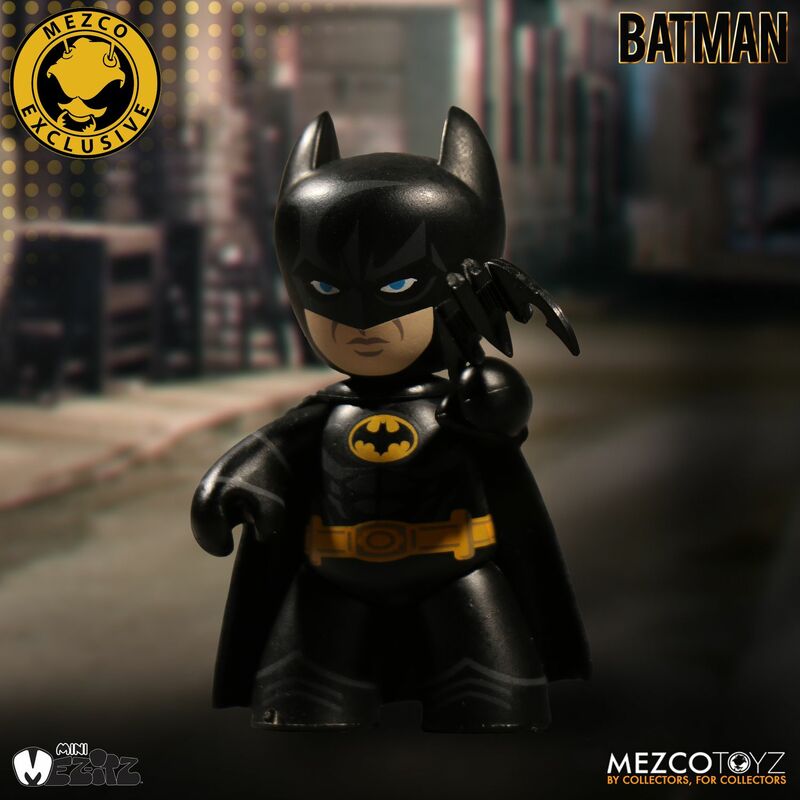 This 10″ tall exclusive doll is available directly from Mezco’s website and can be purchased at San Diego Comic-Con 2017. 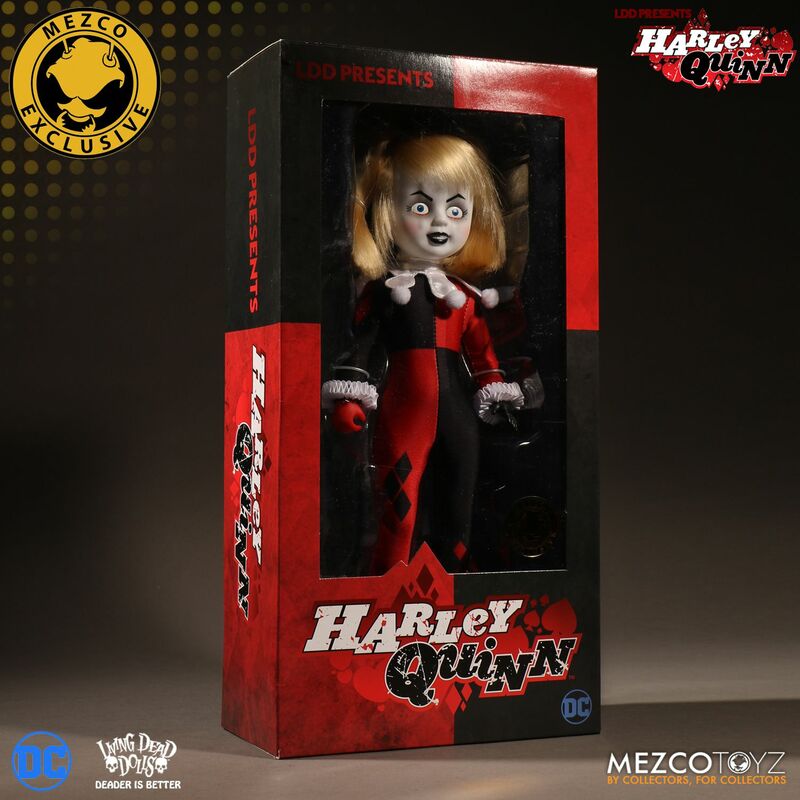 You can order it by Clicking Here. 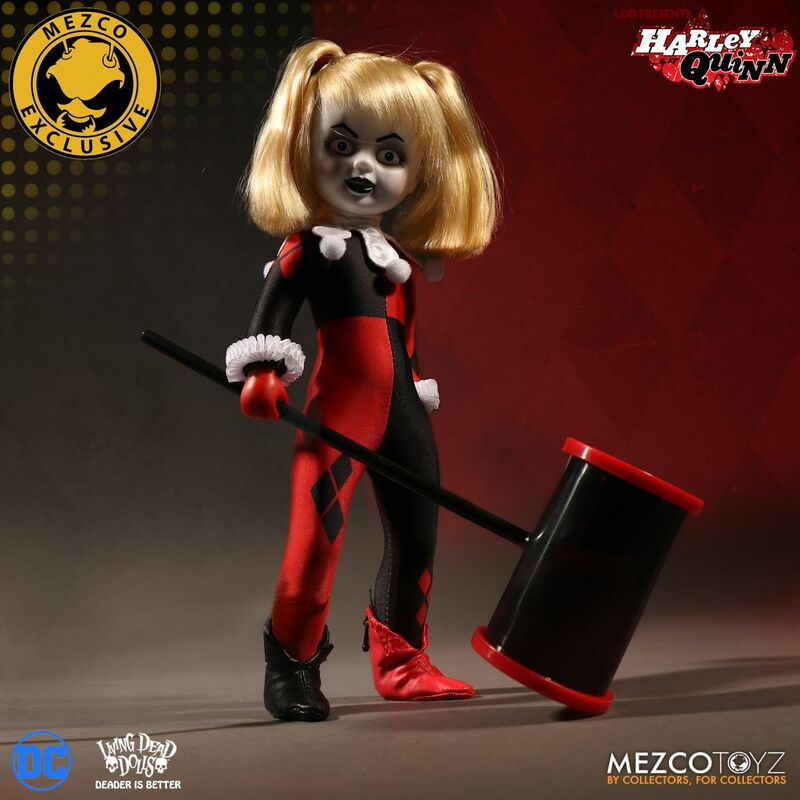 It’s priced at $55 and will ship out between July and September. 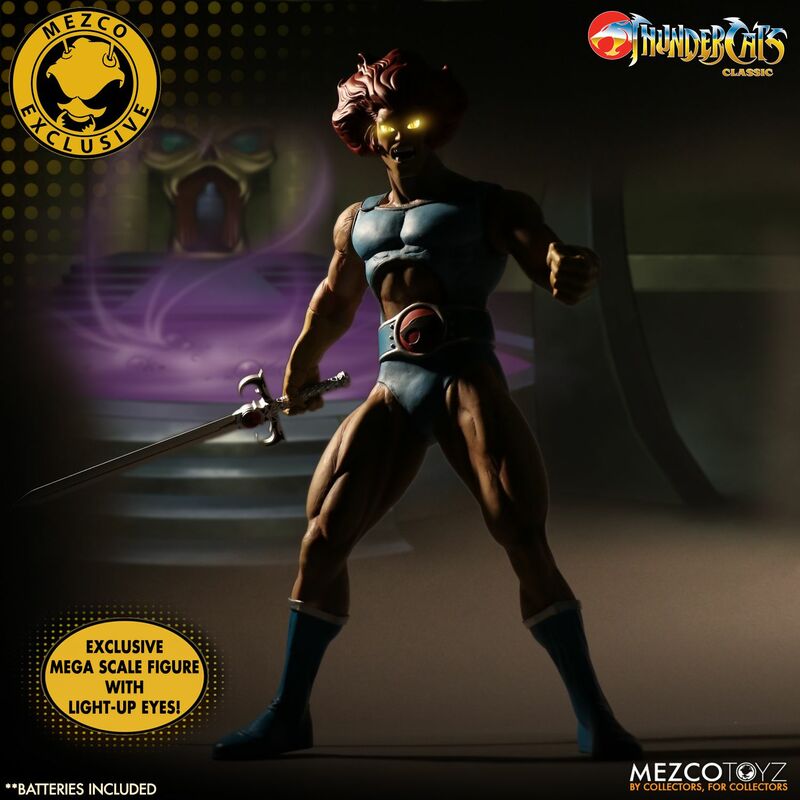 See some additional info below and the new photos by reading on.